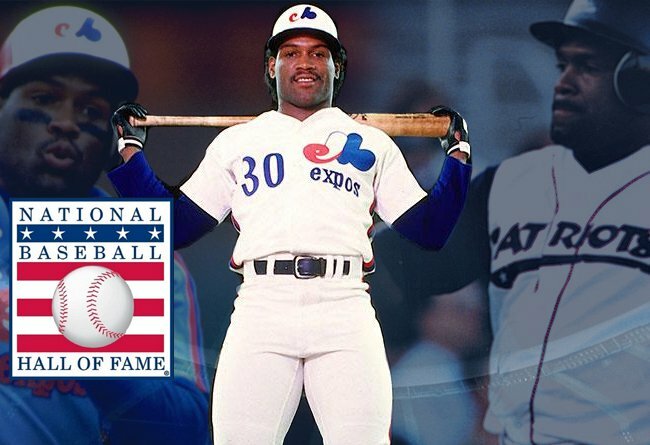 (Bridgewater, N.J., Jan. 18, 2017) - Former Somerset Patriots outfielder Tim Raines will be inducted into the National Baseball Hall of Fame with the class of 2017. He enters the Hall of Fame alongside Jeff Bagwell and Ivan Rodriguez with 86% of the voting. Raines, who had a 23-year Major League Baseball career, played for the Somerset Patriots during the 2000 season while attempting to make the United States Olympic Baseball Team that ultimately went on to win the gold medal. Somerset was Raines’ first time playing baseball after being diagnosed with lupus in the summer of 1999. Raines already had 21 Major League seasons under his belt before joining the Somerset Patriots. In the majors, he was a seven-time All-Star and a member of two New York Yankees championship teams (1996 and 1998). Most of his career was spent with the Montreal Expos, where he played 13 seasons. Although he did not get selected for the Olympic roster because the team decided to bring an extra pitcher, Raines hit .346 with five runs scored, nine hits, three doubles and two RBI in seven games played for Somerset. He played 17 innings in the longest game in team history on August 16th that went six hours and 14 minutes. The following day he played both games of a doubleheader. After his time with the Somerset Patriots, Raines was re-signed by the Expos in 2001 and played two more seasons at the Major League level for the Baltimore Orioles and then-Florida Marlins. During that time, Raines and his son Tim Jr., also a former Somerset Patriot, became just the second father-son duo to play for the same team in a Major League game, joining Ken Griffey and Ken Griffey Jr. He was also the first base coach for the 2005 World Series Champion Chicago White Sox. Raines finished his Major League career with .294 batting average, 1,571 runs, 2,605 hits, 430 doubles, 113 triples, 170 home runs, 980 RBI, and 808 stolen bases. Raines returned to the Atlantic League in 2009 as the manager of the Newark Bears, a position he also held in 2010 when the team moved to the Can-Am League. Raines becomes the third person with Atlantic League ties to be a Hall of Famer, joining former Long Island Ducks manager Gary Carter (2003) and former Newark Bears outfielder Rickey Henderson (2009).